Ride through the 'jungle roads' onto the beach. Most tours ride through the sea to a small island. We stop on the way back at a beach cafe to buy a drink and enjoy the view across to Paros or in the evening watch the sunset. 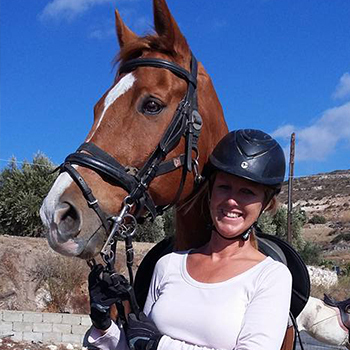 All abilities are catered for from beginners to advanced riders. 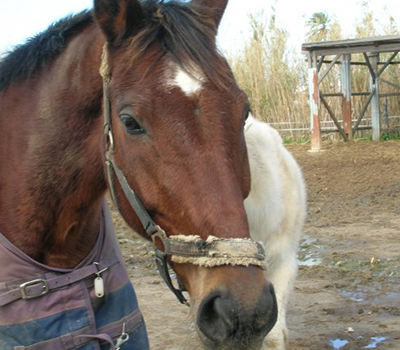 Naxos Horse Riding Club is a family business with tradition and love to the horse sector, cared in order to provide you unique riding experiences and at the same time offering love and care to the horses. 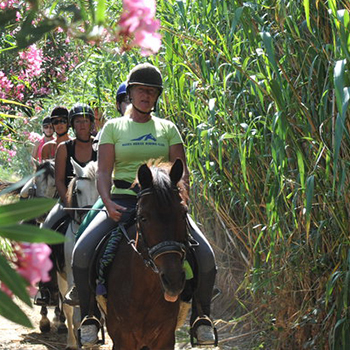 We have created unique excursions so as to give you unforgettable riding experiences. 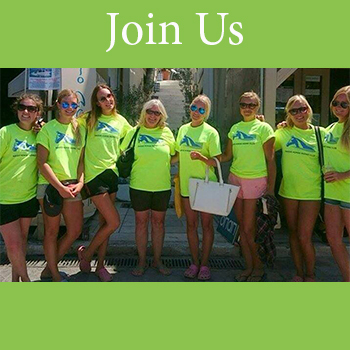 Regard to the nature and the landscapes of Naxos we wandered in secret trails in order to offer to our active guests unforgettable experiences. 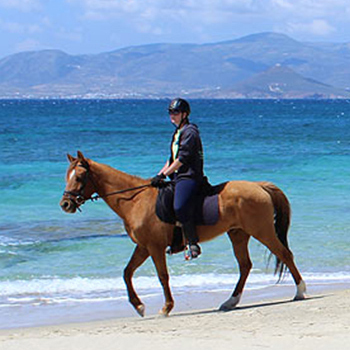 Naxos Horse Riding provides you the necessary equestrian equipment to ensure your physical safety. Also, if you are inexperienced rider before your riding we provide you the basic training you need. 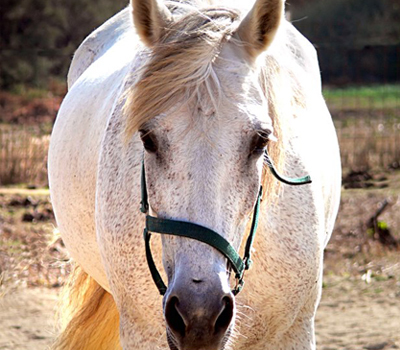 Your riding instructor helps you with taking care of your horses properly and will manage the stables. You can ride indoors, outdoors or in the beaches. 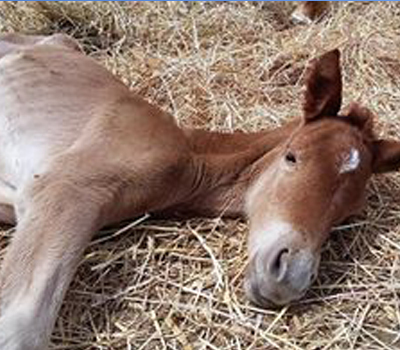 We have been patiently waiting for 11 months for our foal.